What a beautiful addition to your tabletop presentation! 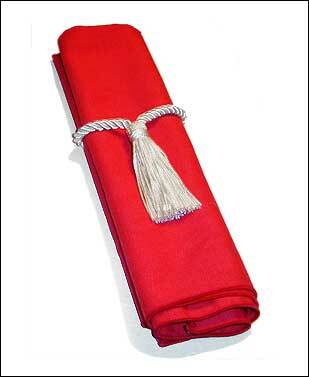 Our elegant napkin tassel is made out of rayon, has a 3" loop (6"circumference) and a 3" beautiful chainette tassel. The cording is 5/8" thick making this napkin holder a beautiful addition. 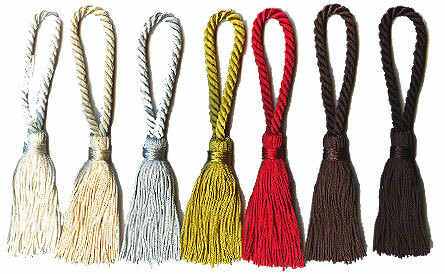 We offer this tassel in 7 stock colors. We have no minimum required. The napkin tassel is sold individually meaning if you order 1 you will get only 1. This item usually ships within 1 business day.